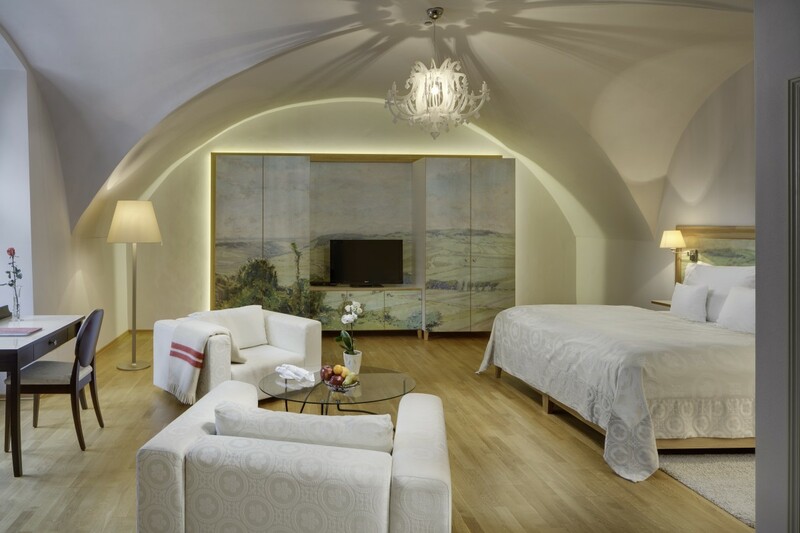 Another window into the landscape of Alois Kalvoda opens itself to you in this standard room with an deluxe touch – meadows full of red poppies and thin stretches of fields in the distance. Looking out of your window across the castle courtyard, you can fully recreate this peacefulness of Vysočina nature. This room, that is entered through robust hobnailed oak doors will charm you with its original arches that are absolutely typical to the castle.